If you feel you need an expert’s opinion, find a color analyst and spend the money to have your colors done. Having done that, if the colors don’t appeal to you, don’t be surprised. Color analysis is not an exact science. I have worked with many women less than happy with their clothes only to discover that their color analysis was wrong and their problems were solved by returning to the colors that appealed to them. Make a trip with a close friend or someone versed in the color arts (painter, jewelry designer, interior decorator,a friend that dresses like a million, etc)and a mirror to a fabric store. Stroll the aisles and drape various solid colored fabrics around your shoulders and see what makes your face the most vibrant. You will see a pattern emerging. Pastels and light colors. Navy and off-white look great. Pure white looks icy and not the best. Denim looks great. Except for orange, that makes you look sick, just about any color in the pastels looks great. Great neutrals are navy, off-white and a grayish brown. Rule of thumb: Stay light and pastel like the late summer afternoons. Bright vivid colors look best against your face. Bright medium hued colors look great. Often patterns that work will have bright colors on a black background. Periwinkle blue or blue purples look great as do peaches and melons. Great neutrals are off-white, white, black, light navy, and yellow browns. Rule of thumb: Follow springs lead with all the bright colors of blossoming flowers. Earth tones and the colors of fall. Navy blue and aqua work well. Mixing yellows into the primary colors and softening them slightly works the best. You will like yourself better in gold rather than yellow. Orange looks good and melon is your ‘pink’. Neutrals best for you are the medium shades of navy blue and a bronzy brown. You will find yourself gravitating to a monochromatic or analogous color schemes – multiple shades of a color work beautifully. Rule of thumb – Follow natures lead with the earth tones or autumn. The primary shades look best. Dark red and navy look good next to your face. Pastels make you look faded. Give them an icy, shimmery white tone or overlay them with white lace and they look great. Dark pink or salmon gold work nicely as do forest greens. Black/white combos work for you. They are more than neutrals to you – they are colors. The colors you like are the ones that stand out in a crowd. That is part of your color personality. You gravitate to a two color theme. Adding an additional color loses the drama. Neutrals are where you will shine. Dark gray with a touch of silver or the reverse. Navy and dark brown. And, always, black and white. Rule of thumb – Like the season, pure, clear, and intense. If you want to explore a little more about color and get a color sample card to keep with you when shopping head over to the IstinaDesign Shop and check out the Understanding Color Module on sale there. Enjoy the process and find the inner you! Pantone’s Color of 2015 – What do you Think? Earlier this month, Pantone announced what it expects to be the color of the year for 2015. Of course, by announcing it, it becomes a self-fulling action. Clothing designers wait for and design to that color and flood the market with myriads of designs employing that color. It is up to us as consumers to determine if that color is indeed appealing for the year. If your color analysis says you are an Autumn then this color is fantastic for you. It is the perfect neutral for your wardrobe. Spring and Winter – not so much. Unless you use it as an accent or change its tone in some way it will make you look washed out and ill.
Summers might be able to get away with lightening it up. What do you think of the color? 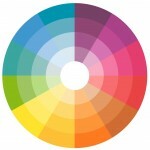 I’m interested to see just how accurate Pantone is in predicting our color likes. Let me know with a comment. For more information on understanding your body shape and what looks great on you go to my website Istina Design. Above all, don’t pick a color because someone in authority tells you it is the in color. Pick colors that you enjoy and that make you feel like a million.